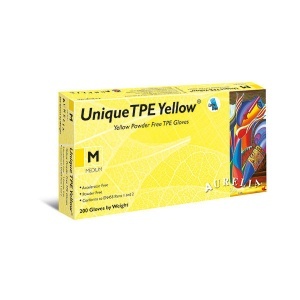 Offering improved strength and added comfort, the Aurelia Unique TPE Powder-Free Yellow Gloves 45226-9 are yellow ambidextrous gloves made from TPE. 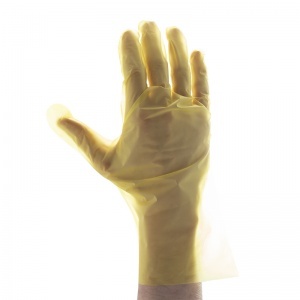 The gloves are powder-free, and are ideal for janitorial, healthcare, and food industry use. The choice of sizes will ensure the most comfortable fit on either hand. The Aurelia Unique TPE Gloves have been designed to provide a cost-effective and stronger alternative to many vinyl gloves. 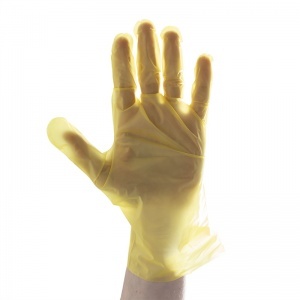 They are aimed at healthcare professionals, and are also ideal for janitorial and food industry use. Please use the table below as a guide to measuring your hand and selecting the size of glove required.